Holiday travelers spending time in the Phi Phi Islands will likely take one or more day trips to explore nearby islands. People in Phuket and Krabi will also take day trips to the different Phi Phi Islands to enjoy great beaches, diving, snorkeling, swimming and more. Many day trippers visit Koh Bida Nai and Koh Bida Nok for many reasons, but diving is perhaps the most common reason why people visit these islands. Koh Bida Nai and Koh Bida Nok offer amazing Phi Phi Diving opportunities that are breathtaking. Divers from around the world visit these islands in order to see everything they have to offer from both shallow dives to deep dive sites. It is easy to get certified prior to visiting the islands. There are a number of Phi Phi Dive schools that certify divers. You can rent equipment or bring your own but anyone who enjoys diving or would like to learn more about diving should certainly visit the Phi Phi Islands and make a day trip to Koh Bida Nai and Koh Bida Nok. 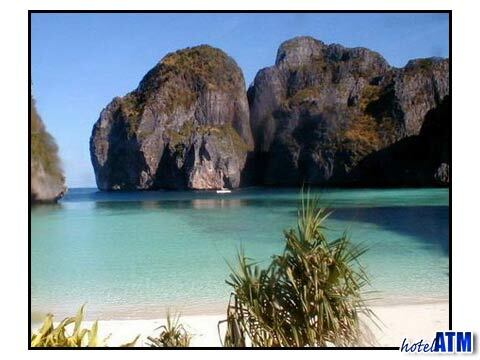 The Phi Phi Islands, including Koh Bida Nai and Koh Bida Nok are not accessible by car, train or planes. You can only get to these islands by boat. Longtail boats can take you from one island to another or you can go by speedboats that are operated by the dive centres in order to reach your destination. Island hopping is a great way to enjoy a day on the islands and there are a number of small islands what are well worth the trip. From the beautiful beach of Phi Phi Ley to the legendary diving of Koh Bida Nai and Koh Bida Nok there is something for everyone at the Phi Phi Islands. You can easily spend your mornings and afternoons at one of these legendary islands and then dance the night away after a wonderful meal under the stars. These wonderful islands are exotic, unique, wonderful and affordable. Many visitors marvel at the ability to plan a spectacular holiday at the Phi Phi Islands while sticking to even a tight budget. People from around the world visit the islands and fall in love instantly. As you plan your Phi Phi Island holiday make sure you put day trips on your itinerary including day trips to Koh Bida Nai and Koh Bida Nok.